In 1996, the European Southern Observatory and the Government of Chile signed an agreement whereby Chilean astronomy has access to up to 10 percent of the total observing time on ESO telescopes in Chile. 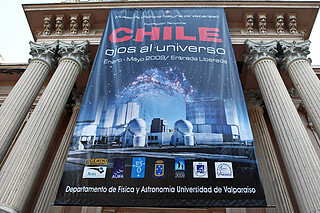 As part of this agreement, the ESO–Government of Chile Joint Committee was established for the development of astronomy and scientific culture. 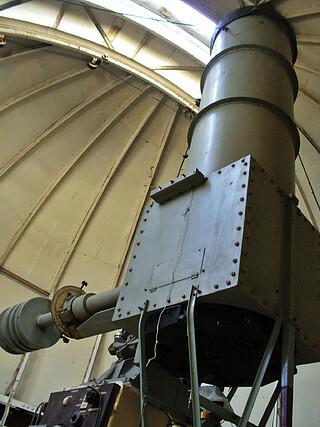 This project focuses on the design of the strategy and the pathfinder experiment for the implementation of a systematic programme of astronomy education at the historical Observatory Manuel Foster located at Cerro San Cristobal in Santiago. This project aims to create the Manuel Foster Centre for Astronomy Education as an important part of the educational and cultural activities in Santiago. Responsible Institution: Pontificia Universidad Católica de Chile (PUC), Santiago. Metropolitan Region. 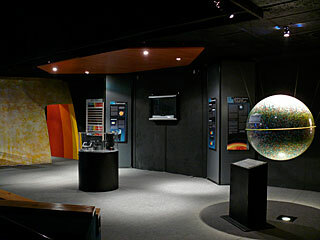 This project includes an exhibition about international astronomical observatories in Chile at the Museum of Natural History of Valparaíso (more info available in Spanish); talks and workshops at schools and for general public in Region V; the design of talks, practical exercises and advanced training courses for teachers; the creation of an observatory with educational purposes at the UV or in collaboration with smaller observatories either in Regions IV or V.
Responsible Institution: Universidad de Valparaíso (UV), Valparaíso, V Region of Chile. A teacher training programme for elementary and high school teachers, including theoretical and practical lectures and workshops focused on methods for teaching the basic principles of astronomy. 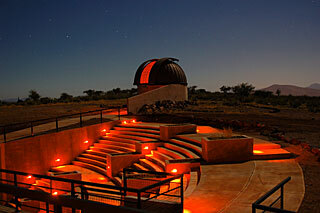 The programme also includes observational activities at the recently inaugurated UMCE observatory. Responsible Institution: Universidad Metropolitana de Ciencias de la Educación (UMCE), Santiago, Metropolitan Region. Production of audiovisual material about star formation for dome and mobile planetariums. This material will be added to the set of four existing audiovisuals and will be complemented by interactive games and guidelines for teachers. Theoretical–practical workshops entitled "You are Galileo" aimed at teaching participants how to build a refracting telescope. The project also includes field trips to perform "Galilean" observations, as well as grants for 1000 students selected from underprivileged areas to visit the Science and Technology Museum in Santiago. Responsible Institution: Museo de Ciencia y Tecnología, Santiago, Metropolitan Region. 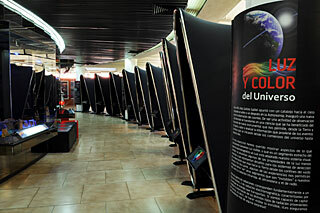 Production of the multimedia exhibition, The Sky in our Hands, for the Observatory Cruz del Sur. The multimedia element will be complemented by an educational kit and educational activities, intended for teachers and students, but also suitable for the general public. The project also includes a training programme for the guides. Responsible Institution: Ilustre Municipalidad de Combarbalá, Combarbalá, IV Region of Chile.